Women love to use makeup, cosmetics, and other beauty products to create a fresh-faced look that enhances their natural beauty during the day and a dramatic look that takes them into the night. Too often, though, they do that with products laden with harsh chemicals and products tested on innocent animals. The harsh chemical could cause issues for those who use products with them and could cause more harm than good, with many looking to someone like these Tate Law Offices Forth Worth Personal Injury Lawyers as they might be able to help users to get any compensation for personal injuries obtained by using these products if they have a case. You can go for the look you want without the parabens, chemicals and other dirty ingredients by choosing toxic-free clean beauty products. Take a look at the cosmetics you choose on your next shopping outing. You might be surprised to find ingredients you can’t pronounce that are laden with chemicals and preservatives. These four steps will help you ease your way from your existing cosmetic and beauty products to gentler, cleaner choices that pamper your skin while helping you look your best. Trust us, once you go clean, you’ll never look back – or look and feel better. Don’t toss all your existing products out at one time. Instead, opt to replace each product with a healthier, all-natural version as you use up the old one. It’ll be easier on your wallet and give you more time to research and find the right products and colors for you. Do you really need three different moisturizers and a dozen shades of lipstick? Most women have far more products in their makeup stash than they actually make use of. Go through your makeup bag and choose the colors and textures that work best for you. Pay attention to which products you use the most, and replace most often, then start looking for organic, all-natural versions of those products. Fancy packaging and excessive wrapping contribute to landfill waste and clutter. Look for biodegradable packaging and labels with easy to pronounce ingredients and keywords like chemical-free, all-natural, organic, and vegan. Double duty products take up less space, give you more bang for your buck, and save you from excessive clutter. It has the added benefit or streamlining your makeup and skin care routine as well. Here’s another helpful tip – make use of online products descriptions and reviews. Online reviews are great sources of help when you’re starting a journey toward buying toxic-free clean beauty products. Online consumer reviews will tell you if cleaner versions of the products you use work as well, provide as much coverage, and come in the shades and colors you prefer. Very often, you’ll find that these products provide improved use and dollar for dollar are smarter buys. It’s one thing to look good. It’s quite another to feel good at the same time. Once you try the safer, more natural products, you’ll quickly come to appreciate more than the way they make you look, you’ll come to love the way they make you feel. That’s because all-natural versions tend to do a better job at pampering your skin and making you feel luxurious. They’ll also do a great job of hydrating and conditioning the skin you’re in. Are you still wondering if cleaner, toxic free beauty products are worthwhile? Absolutely! You’ll save needed cash and look great – especially if you use double duty products. You’ll also find that all-natural products are not only easier to use, they’re easier to remove because you’re typically removing fruit extracts and natural minerals and oils instead of chemicals and preservatives. You can keep yourself looking great with safer, simpler, more natural makeup and skin care ingredients. Beauty really is more than simply skin deep. At the very least, it goes far beyond the mere surface of your skin. Caring for your skin is a project you undertake from the inside out when you choose all-natural ingredients. That’s because your skin acts something like a sponge, absorbing everything you put on it. Think about that for a minute, then decide if you want to coat your skin with chemicals and toxins that are animal-tested, toxin-laden, and irresponsibly sourced. Or, would you rather use cruelty-free, responsibly obtained, all-natural products? Especially given the fact that makeup, body washes, skin and hair care products are usually applied on a daily basis. What you put on your skin every day really does matter. Most of these products are difficult to pronounce and are even banned in many countries outside the United States due to their harsh chemical makeup. Do you really want ingredients you can’t recognize or pronounce in and on your delicate skin? Of course not. Now, compare that list to some typical ingredients in clean, pure makeup and skin care brands. These all-natural ingredients are easy to pronounce, easily recognizable, naturally occurring, responsibly obtained, and healthier for your skin. They provide the coverage you need and the performance you demand without compromising your skin. Also, they typically don’t have the side effects of chemical ingredients and won’t harm your skin. They provide rich pigmentations and are long-lasting and easy to use. Now that you know what to look for, read labels with extra care and make sure products that say they’re all-natural have the ingredients and certifications that prove they really, truly are all-natural. Be on the lookout for synthetic fragrances, untested products, and recyclable packaging. Look for packaging that isn’t made of plastic, doesn’t contribute to landfills, isn’t over-wrapped, and that states on the outer packaging that it safely biodegrades. One of the simplest ways to make sure the products you use meet your new clean, pure beauty standards is to buy from companies who are committed to using clean ingredients. Pay attention to their reputations, certifications, and ingredient lists. You might also want to take care when beauty products as you might befind that the chemicals in them could harm your skin. Even the most tested products could be unsafe to use. If you find yourself in such as situation, you might want to get in touch with someone similar to these Personal Injury attorneys near Florence AL who might be able to help you with your case. Check out this list of chemical free, safe beauty products brands who use nature’s ingredients to enhance your natural beauty. These clean beauty brands have committed to helping you create beautiful, healthy, glowing skin with products that nourish, condition, and protect your skin. They never use harsh chemicals, never test their products on innocent animals, and use carefully sourced products that are long-lasting and sustainable. While you’re checking out these companies and their clean, pure cosmetic and beauty products, you can also take the extra step of making sure your makeup bag, itself, is made from organic materials. That’s right – even your makeup bag matters. Look for bags made of cotton, jute, silk, or linen. After all, putting all-natural ingredients into all-natural bags and containers just makes good sense. 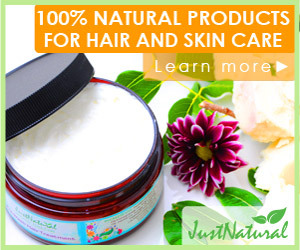 All-natural clean beauty products can easily be found for prices comparable to conventional products. Organic products usually work out to be a better dollar-for-dollar purchase. That happens because, although chemical laden products have a longer shelf life due to their unnatural, chemical preservatives, they take a much harsher toll on your skin. That toll can lead to additional purchases to correct skin and health imbalances. Pure, clean products tend to break down more quickly because of their natural, often botanical, makeup. There is also the added benefit to our environment when using cleaner, greener products, and to the overall health of your skin. Chemical-based products may look good in the beginning, but they may also cause damage that creates an added expense in the long run. These helpful resources will make identifying cosmetic and beauty product ingredients and responsible products much simpler. High performance, non toxic clean beauty products that rival any chemical based product are available all over the internet and in many brick and mortar stores. With a little online research, you’ll find clean beauty products that don’t compromise style, substance, or performance. All-natural, cruelty-free skincare and makeup products give your skin a rich, healthy treat and a healthy boost with high-performing antioxidant-rich, vitamins, essential oils, and fruit extracts and pigments that deliver optimal results.